There are plenty of diets that make miraculous claims but many of them cannot be backed by science. Vegetarianism, however, is one diet with an array of scientific studies to prove its health benefits (1). 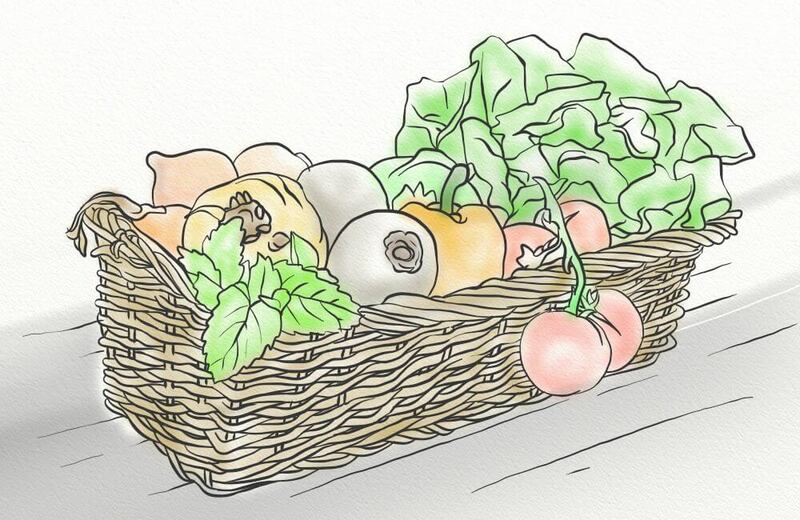 In this post, I’ll introduce the vegetarian diet including its different varieties. I’ll then highlight the four ways that vegetarianism can be used for hair growth, as well as what you can do to improve your dietary intake and increase the results you see. But most importantly, I’ll explain why a diet change can be one of the greatest things you can do to combat hair loss. Lacto-vegetarian – The exclusion of meat, fish, poultry, and eggs. Ovo-vegetarian – The exclusion of meat, fish, poultry, and dairy, but not eggs. Lacto-ovo vegetarian – The exclusion of meat, fish, and poultry, but not dairy and eggs. Pescetarian – The exclusion of meat, poultry, dairy, and eggs, but not fish. Vegan – The exclusion of meat, fish, poultry, dairy, and eggs. While many people follow the vegetarian diet for moral or religious reasons, there are also those who do so for the many health benefits it offers. 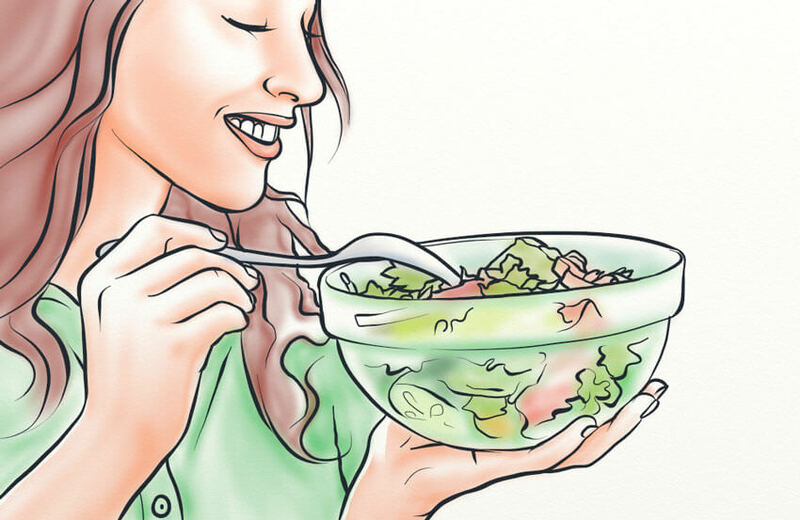 With the variety of health benefits offered by vegetarianism, it’s not surprising to learn that this diet can also contribute to healthy hair growth. Let’s look at just a few ways it can do so. Inflammation is a natural immune response to illness or injury. It’s often short-term and will resolve once the illness/injury has resolved. However, long-term inflammation does exist and it can cause many health problems including hair loss. For men and women with AGA, this problem is worsened by the fact that the hair follicles are already inflamed due to the presence of DHT (2). Other causes of inflammation, then, can further miniaturize the hair follicle and essentially speed up the hair loss process. If the above causes are left untreated, they can contribute to the hair problems you face. That’s why I strongly recommend you take control of the various causes above. One way to do so is with a vegetarian diet. The vegetarian diet has been to reduce the number of inflammatory biomarkers present in the body (3). This has been shown time and again, but it’s only recently that researchers have been able to narrow down the reason. Blood pressure is the measure of the force of the blood against the artery walls. It is a crucial measure of health, as blood pressure that is too high can contribute to numerous risks including heart disease and stroke. An interesting link between AGA and blood pressure has been found. More specifically, individuals with AGA seem to be at a higher risk of developing high blood pressure as they age (5). But why is that? Unfortunately, the connection isn’t too clear. A study from 2014 suggests the link may be caused by a mutation of the Fibroblast Growth Factor 5 (FGF5) gene (6). This gene has been “implicated as a regulator of hair lengths in mammals” and it’s also been shown to be associated with blood pressure (7). However, further research needs to be conducted to better understand this link. The vegetarian diet has been shown to lower blood pressure and this can improve your health significantly (8). It may also slow down the progression of AGA (if the link above is proven correct) and treat other causes of hair loss. Just as any other organ, the hair follicle requires an adequate amount of blood flow to remain healthy and alive. As miniaturization sets in, though, this becomes more difficult as blood flow is cut off and oxygen and nutrient delivery is lessened. When this occurs over a prolonged period of time, an increase in shedding will occur and eventually the hair will cease to grow. If left untreated, it will lead to permanent balding. With this in mind, it’s important to continually work to improve blood circulation to the scalp. Scalp massages, exercises, and microneedling can all be used to accomplish this. However, you can also incorporate diet changes for a similar outcome. One diet which has been shown to improve blood circulation is the vegetarian diet. The vegetarian diet has been proven to lower blood pressure and cholesterol levels – two factors that play a role in healthy blood circulation (8, 9, 10). This means that a vegetarian diet can aid in the delivery of oxygen and nutrients to the follicle which should be the ultimate goal for hair loss sufferers. Speaking of cholesterol levels, let’s discuss the link between AGA and heart disease as well as why this matters for hair growth (11). A study published in 2000 looked to examine the association between Male-Pattern Baldness (MPB) and the risk of Coronary Heart Disease (CHD) (11). A total of 22,071 US male physicians aged between 40 to 84 years participated. 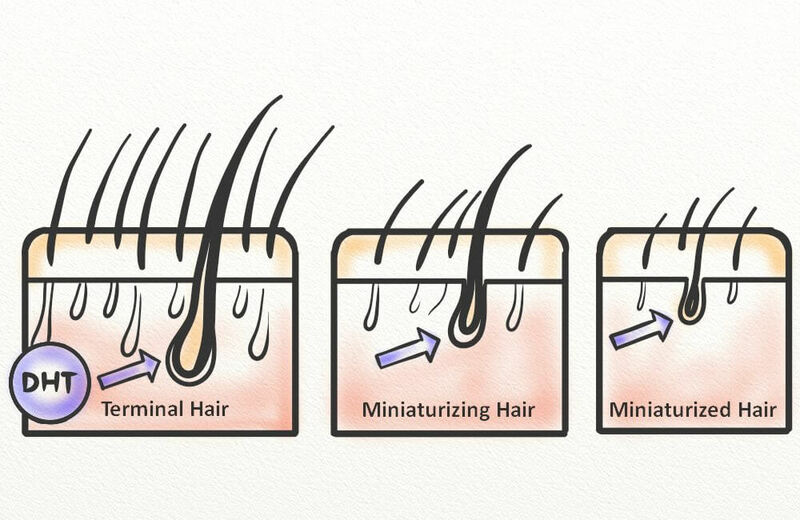 After 11 years, the participants answered a questionnaire focused on pattern hair loss. The results showed that compared to men with no balding, those with frontal baldness had a relative risk of 1.09 percent while those with mild, moderate, and severe balding had risks of 1.23, 1.32, 1.36 percent, respectively. Perhaps even more interesting to AGA sufferers is the link between cholesterol and androgen production (12). And as androgens (particularly DHT) contribute to miniaturization and balding, it makes sense then to lower cholesterol levels. And the best way to do so? With diet change. The vegetarian diet has been shown to lower cholesterol which is likely due to higher fiber intake and lower intake of animal-derived fats (9, 13). Stress plays a significant role in hair shedding and balding, but it’s often overlooked in favor of more obvious causes such as genetics. How big of a role does stress play exactly? The reason for the increase in shedding during stressful periods of time likely has to do with inflammation. 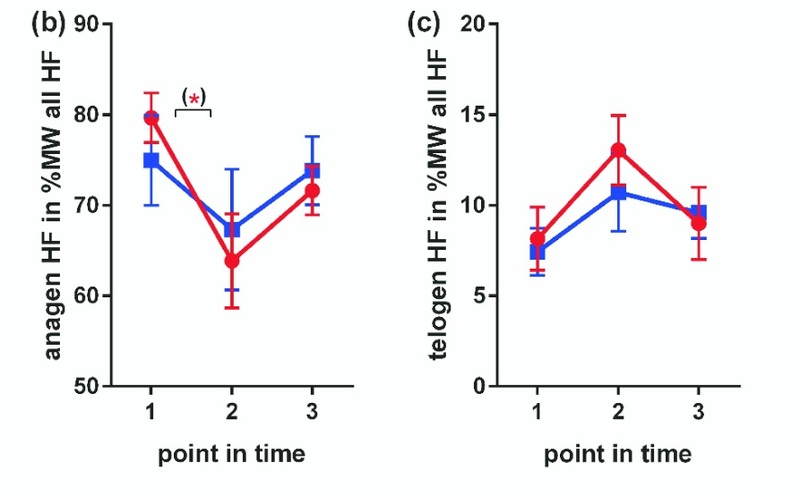 This is because stress can increase cytokine levels which are indicative of inflammation (14). There are many ways to reduce stress, including meditation and yoga. But an often-overlooked way to do so is with diet. A study published in 2010 showed that people who follow a vegetarian diet are more likely to experience healthy-mood states than non-vegetarians (15). This means that a vegetarian diet can improve your mood and ultimately reduce systemic inflammation. As with any diet, it’s important to optimize your dietary intake to improve the benefits. Let’s look at four ways you can do this. One problem that is sometimes faced by those with a more restrictive diet, such as a vegetarian one, is poor vitamin variety and intake. And as an array of vitamins are necessary for healthy hair, it’s important to be sure you’re getting enough. Vitamins that can improve hair growth include niacin, zinc, selenium, and biotin. While many of these are found in meats and fish, they can also be found in vegetables, fruits, nuts, and seeds. Low iron levels can also cause brittle hair, increased shedding, and pattern hair loss (16). All of this to say it’s important to maintain your iron levels through diet and, if necessary, supplementation. There are also many foods that are fortified with iron, such as cereal and oats. Hair is composed mostly of the protein keratin which is produced within the epidermis (skin) by keratinocytes. As the body requires protein to produce keratin, it’s important to monitor your protein intake. The majority of these foods can easily be added to your daily diet. While the vegetarian diet often means a higher consumption of produce and other such food products, it is possible for the diet to be less than healthy. This is especially true for people who rely on breads and sugars to make up the bulk of their diet. In fact, alkalinity of foods is still important even if you’re a vegetarian. But what does this mean? 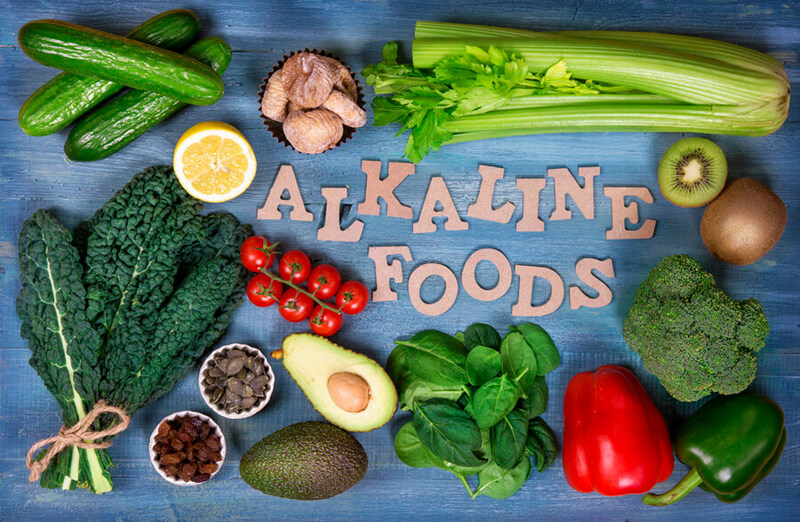 Alkaline foods are those that leave behind an alkaline ‘ash’ in the bloodstream after consumption. These help to level out the pH balance which is crucial for a healthy scalp (17). As you increase your intake of the foods listed above, you should also reduce the intake of acidic foods. These include carbonated beverages and energy drinks, breads and pasta, and artificial sweeteners. Whether you’re already following the vegetarian diet or are considering making the switch, there are a few things to keep in mind. The vegetarian diet can be healthy, but this will depend entirely on the foods you choose to consume. Even without meats and other animal products, there are still other foods (such as breads and sugars) which can negate many of the health benefits. That’s not to say you must avoid these foods altogether. However, you should look to consume them sparingly. The vegetarian diet may not be suitable for those with a history of anemia or other blood disorders, or for pregnant or nursing women. If you choose to follow this diet, be sure to work closely with your physician to monitor your vitamin and mineral levels. Hair loss, whether it’s caused by AGA or other conditions, can be devastating. However, there are many things you can do to slow the progression of your hairline recession and balding or even stop it entirely. One of the greatest things you can do is implement lifestyle changes and, more specifically, follow a healthier, whole foods diet. Vegetarianism is one way to achieve this goal. That’s not to say that a vegetarian diet will work for everyone, or that non-vegetarians cannot see similar hair growth results. However, the many benefits provided by a vegetarian diet cannot be ignored. Though, do keep in mind that other lifestyle changes – such as the cessation of smoking and drinking – can also contribute significantly to the benefits of any diet plan you’re on. This is why I recommend a complete lifestyle overhaul for those who are looking to stop their hair loss and even reverse it. Hey Will, are you available for questions? I’m a student researcher interested in participating in research operations with PRP combined with natural lifestyle modifications and was wondering what your opinion was regarding this type of “therapy” and its supposed future applications. Thanks in advance. I’ve sent you an email privately.